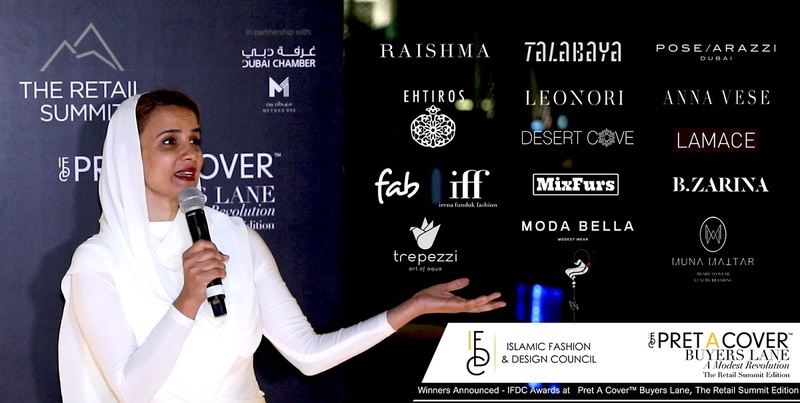 Following the successful launch of the Pret A Cover™ Buyers Lane, The Retail Summit Edition, the IFDC Awards ceremony was held at the W Hotel, Palm Jumeirah on Wednesday 13 February 2019. On this glamorous night, guests were decked out in leading designer wear, IFDC Award winners were announced following an exhilarating discussion on a panel with leading Women In Retail from The Retail Summit; all held at the mesmerizing SoBe Terrace where the sunset served as the picturesque backdrop to a very special evening. When asked about what influenced their decision in choosing the IFDC award winners, Elsa Dionisio, a representative from Modtissimo stated that it was in no way an easy choice, “All the collections showed excellent craftsmanship and class. The prizes are awarded to those designers whose collections displayed an individualised identity and demonstrated respect to the modest fashion industry, fully appreciating that the designer may not necessarily come from that background we appreciated their skill and understanding of this coveted global consumer market”. 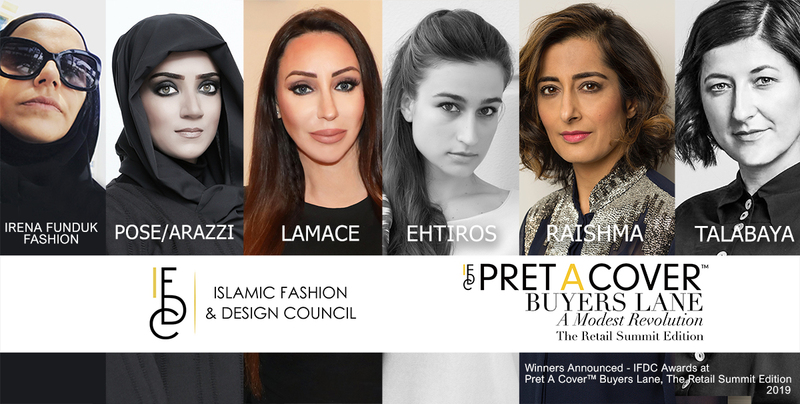 Elsa Dionisio of Modtissimo said the selection of designers was outstanding at this year,’s Pret A Cover Buyers Lane, The Retail Summit Edition. Shortlisting down to the winners was a most difficult task for her and her team based in Portugal. In this photo, Elsa is with one of the IFDC Awards winners, Hessa Al Shafar (middle) and IFDC Chairwoman, Alia Khan (right) dressed in LAMACE. The IFDC Awards ceremony was held at an exclusive invitation only event featuring the designers’ collections in special showcases throughout the evening where a combination of models and mannequins were utilized by the designers in clever configurations that rendered a treat for all guests. 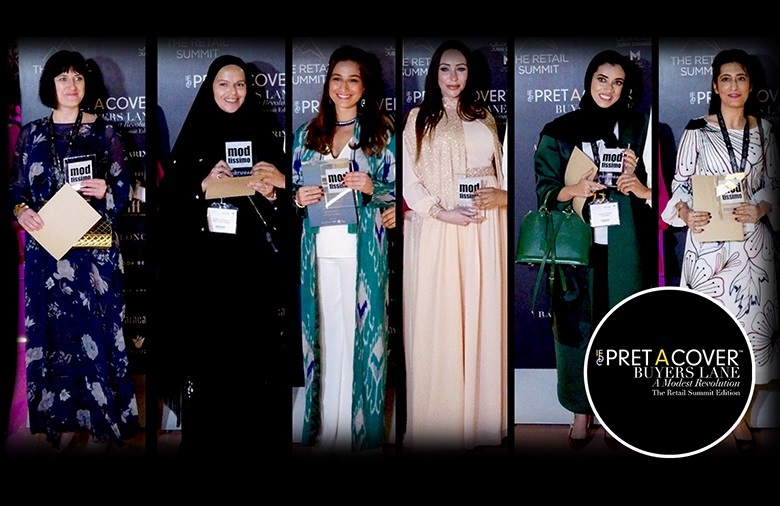 All participating Pret A Cover™ Buyers Lane, The Retail Summit Edition designers were also invited to showcase more looks throughout the venue at the Atlantis Hotel over both days of the event from Feb 13 – 14, 2019.